Could there be some trouble in paradise for the Oklahoma Sooners? 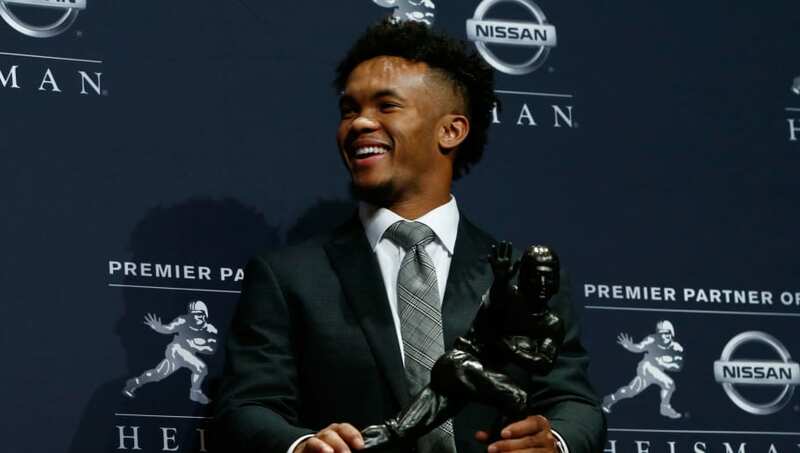 Star quarterback and Heisman winner Kyler Murray did not take part in the media day leading up to their ​Orange Bowl matchup against Alabama this Saturday. It's not clear whether this is just a precaution on Murray's part or if it is something more serious. It's no secret that Oklahoma will need Murray playing at the best of his ability to have a chance against Alabama. He has 4,053 passing yards and 40 touchdowns paired with 892 rushing yards and 11 scores on the ground, winning the Heisman Trophy in the process. With a game this big on the line, fans should expect Murray to play. There's still no word on what type of illness, if any, Murray has. However, his teammates don't seem to be worried. Could this all just be a creative ploy to get out of Orange Bowl media day? I asked Trey Sermon how Kyler was, and jokingly asked if he was on an IV, in a hospital, etc. We'll add to the story as more information becomes available.